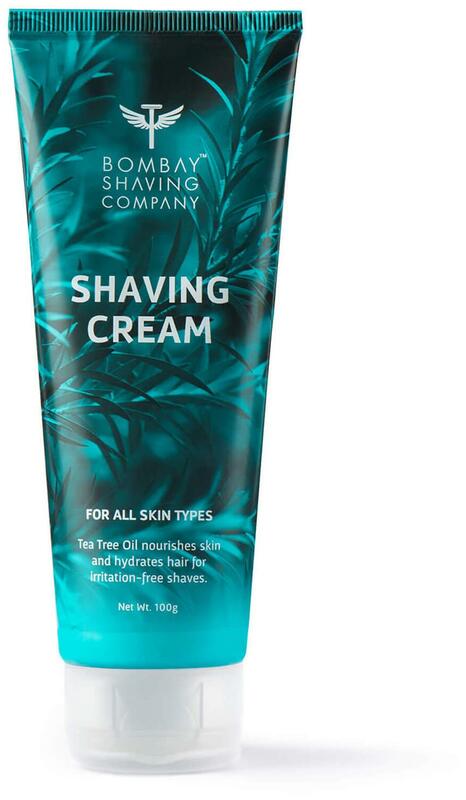 Experience the smoothest shave with Bombay Shaving Company's luxurious Shaving Cream. The cream creates a rich, foamy lather that envelops you in our fresh, signature fragrance, while lanolin, menthol, tea tree and aloe vera extracts sink in to hydrate your follicles. It works in perfect harmony with a high quality shaving brush to give you clean, smooth shave - softening and lifting your whiskers to meet the blade, and creating the perfect surface so the razor glides across like a hand caressing your face. Discover a whole new world of shaving with Bombay Shaving Company s range of premium grooming products. How to Use - Moisten your shaving brush with warm water. Squeeze two button-sized dollops of shaving cream into our palm. Use the brush to while the cream into a rich lather in your hand, then apply it to your face in gentle circular strokes. Make sure to generously cover every bit of skin you plan to shave. Be careful not to apply it if your skin is broken or inflamed.